Simon Weldon was appointed as Chief Executive of Kettering General Hospital in April 2018. He was previously Director of Operations and Delivery with NHS England. Simon's responsibilities in this role included the oversight of the CQC regulatory regime, heading up the emergency planning function, supplying the delivery of the urgent and emergency care transformation programme and leading the information function across NHS England. Prior to this, Simon worked as Regional Chief Operating Officer for NHS England in London, where his responsibilities included public health, primary care and specialised commissioning. Simon also has extensive experience of acute contracting and performance. Andrew was appointed as Medical Director in June 2010. Professor Chilton is a consultant gastroenterologist and hepatologist and honorary senior lecturer. He is also a bowel cancer screening colonoscopist and therapeutic endoscopist. He has a strong interest in quality assurance authoring the national QA colonoscopy guidelines for bowel cancer screening and works at regional and national level in this area. He had held a variety of medical leadership roles and is interested in the strategic delivery of balanced, clinically effective, high quality care across the health economies. Eileen joined the Trust in June 2018 as Interim Chief Operating Officer from the acute sector where she has over 20 years of operational experience. Eileen was appointed Deputy Chief Executive in November 2018. Leanne is a senior nurse with 30 years of experience working in the NHS and remains passionate about patient care. Leanne has a particular interest in the development of leadership in the nursing and allied health professional workforce to facilitate and grow competent and confident staff believing this to be the key in the delivery of a safe and positive patient experience. Mark joined the Trust in June 2014 to this key role, with lead responsibility for developing a highly skilled, trained and well-led workforce. Mark has the responsibility for creating systems and processes that engage all staff in living the values of the organisation. Mark has held a number of roles in Human Resources within the NHS since 2004 and prior to this has held roles within the private sector. Mark joined the Trust from his position as Director of People Development at Barking, Havering and Redbridge University Hospitals NHS Trust, where he led a cultural change campaign which resulted in consistently improving staff engagement outcomes throughout the organisation. Richard joined the Trust in July 2018. This Role focusses on ensuring effective systems for patient safety, experience and learning, clinical effectiveness, health and safety, risk management, quality assurance, information governance, board assurance and corporate governance. Richard previously worked in adult learning disability services in Northamptonshire before joining the NHS in Leicestershire in 2005. He has strong interest in patient safety and quality improvement having worked academically as an associate lecturer in healthcare governance at Loughborough University and establishing the academic and healthcare partnership the Leicestershire Innovation, Improvement and Patient Safety (LIIPS) unit hosted by the University of Leicester. Most recently Richard worked at NHS Improvement focussing on quality and performance improvement across a range of NHS Trusts. Richard is a Health foundation Q fellow. Nicola was appointed as Director of Finance & Contracting in June 2017. Nicola commenced her employment at the Trust in 2010 in the role of Business Partner taking up the Head of Financial Management in 2012 and was promoted to the role Director of Transformation. Nicola has extensive financial & change management experience previously working for Northamptonshire Police and Cambridge County Council. Jo joined the Trust as Chief Operating Officer in October 2018. Jo is originally from Northern Ireland and after finishing her education there she started her NHS journey in 1995. Jo has always had a fascination with the NHS and started her NHS career as an Information Analyst and then moved into operational management. Jo has worked in many acute providers across the East Midlands and other areas with her most recent role being Deputy Chief Operating Officer at James Paget Hospital in Norfolk. Jo has also completed the Nye Bevan Executive leadership course and is passionate about leadership and engagement to deliver change and sustainable improvement. Jo’s passions in life include football, music, attempting to play the guitar, road cycling & running. Jo also enjoys a challenge and is looking forward to being part of whatever challenges life at KGH brings! 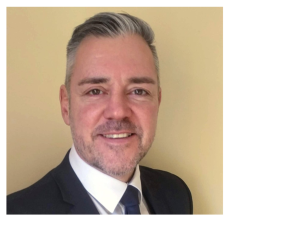 Andy became Digital Chief Information Officer with the Trust on April 8th 2019 and brings a wealth of digital experience to the role from a career spanning the public and private sector. Andy was previously Programme Director for the innovative NHS App at NHS Digital and took the app from inception to availability in the app stores in a little over 12 months. Prior to that he was the Head of Technology Delivery for the national NHS website NHS.UK, which receives c40m visits each month. Andy has also held senior positions in the public and private sector, including five years as Head of Information and ICT for Children’s Services at Derbyshire County Council and over three years as a Director for EMPSN (East Midlands Public Sector Network), a network and application services company covering all of the East Midlands. Alan has worked in the NHS for 43 years in a variety of senior roles and has also run his own consultancy business supporting leadership and improving performance through coaching. Alan is also the Chairman of Northampton General Hospital and has previously been Chairman of Princess Alexandra Hospital in Harlow and also of Hinchingbrooke Hospital. Before that, he has spent 24 years as a Chief Executive of a number of Strategic Health Authorities. Alan has been involved in national work on public sector reform and research and development and was Vice Chairman of the NHS Confederation. Trevor has extensive experience in the NHS and was Finance Director of Central and Northwest London NHS Foundation Trust. He is a member of the Association of Certified Chartered Accountants and brings a wealth of experience in audit and finance to the Board. Phil is Senior Independent Director on the Trust Board. Phil has lived in Kettering for 30+ years, is a Governor at 3 local Academy Schools and Chair of Governors at an Academy in Corby. He and his wife currently run a consultancy firm which is focused upon business strategy, marketing, business development, customer services and sales. He has previously worked for RS Components in Corby from 1996 until late 2012 and was the Customer Operations Director (Europe). He held senior positions within Fujitsu/ICL for 12 years as Head of Business Strategy and Planning/Competitive Marketing Manager/Regional Sales Manager and also ran three medium sized businesses in the early 90’s as General Manager. Chris is the Independent Review Officer for the South Yorkshire and Bassetlaw Accountable Care System Hospital Review and has a strong medical background. Janet is CEO of the Academy for Healthcare Science, a UK wide organisation which brings together the entire Healthcare Science Profession to improve patient care and advance and promote the Healthcare science workforce. Janet has a long career in healthcare, building on her work as a clinician, in Nursing and Midwifery, to move into teaching and later management. She has a wide portfolio of experience in executive, Chief executive and non-executive roles in public, private and third sector organisations. Lise is a qualified GP who has also worked in public health medicine and in general management within NHS commissioning. She believes her previous role as commissioner looking “into” Trusts will help her support KGH as a Non-Executive Director. Damien has 23 years experience in the IT service industry. He has lots of experience in delivering services to public sector organisations and wants to use this opportunity to work in the public sector and share his experience of delivering complex and challenging change projects. Bailey is an experienced and qualified Chartered Management Accountant with extensive commercial finance experience gained from a number of Blue Chip global organisations and currently working as Assisant Director of Finance with Marriott Hotels. He is an experienced leader with high expectations who operates with pride, integrity and conviction and has led, managed and developed high performing multi-functional teams up to and including executive level. Public Trust Board Meetings are usually held on the last working day of alternate months. Meetings start at 10am in the Board Room, Ground Floor, Trust HQ, Glebe House (close to Car Park B). Members of the public are welcome to attend Board meetings and ask questions. Questions must be submitted at least 48 hours in advance of the meeting. Board papers are posted below, one week prior to the meeting. Our Board of Directors are required to declare any interests that they may have and these are recorded on the Board of Directors' Register of Interests [pdf] 169KB .